The Spurs, 0-4 on their annual 'rodeo road trip,' play Memphis in their last game before the All-Star break. 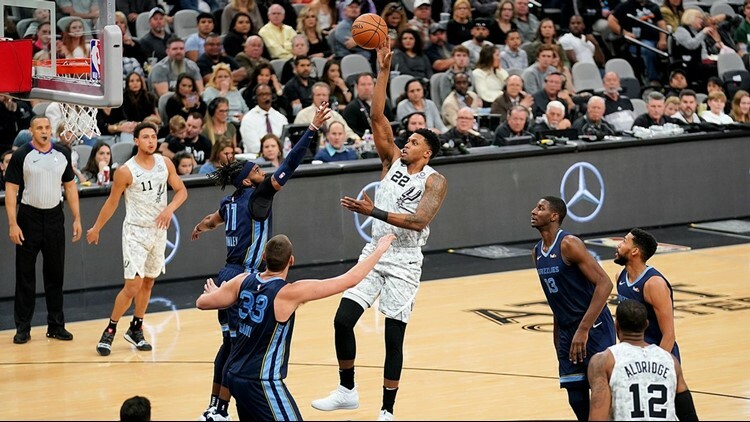 When, where: Tuesday, 7 p.m., FexExForum, Memphis, Tenn.
Spurs' injury/inactive report: Forward Rudy Gay (sprained left ankle), probable; forward Ben Moore (G League assignment), out; point guard Dejounte Murray (torn right anterior cruciate ligament), out; guard Lonnie Walker IV (sprained right ankle), out; point guard Derrick White (right heel soreness), out. Grizzlies' injury/inactive report: Forward Kyle Anderson (right shoulder soreness), out; guard/forward Dillon Brooks (right toe injury), out; forward Chandler Parsons (not with team), out. Weighed down by the burden of their worst start in the 17-year history of the rodeo road trip, the Spurs returned to San Antonio after falling to the Utah Jazz on Saturday. After taking Sunday off, the Silver and Black were back at their practice facility Monday morning, working on ways to shore up a porous defense that has yielded an average of 130 points during the team’s four-game skid. The Spurs are allowing an average of 111.4 points, and have given up more than 100 in each of their last 16 games. “I don’t think we’ve ever had this time, since I’ve been here anyway, (of) being able to come back during the rodeo road trip,” veteran guard Patty Mills said. “Obviously, being home plays a huge role, coming in this morning and smelling your own practice facility and getting out on the floor and getting some shots up, and regrouping. Power forward LaMarcus Aldridge concurred with Mills. Spurs forward Rudy Gay, who missed Saturday's loss to the Utah Jazz with a sprained left ankle, is listed as probable for Tuesday night's game in Memphis. The 125-105 loss in Utah dropped the Spurs to 0-4 on the eight-game trip that started in Sacramento last Monday. San Antonio lost to reigning NBA champion Golden State and Portland in back-to-back games on Wednesday and Thursday before Saturday’s defeat in Salt Lake City. Tuesday’s game will be the Spurs’ last before the All-Star break. The All-Star Game is Sunday in Charlotte, N.C.
“To be honest, coming off the Utah loss directly after the game, it’s deflating,” Mills said. “I think in any situation like that where you lose four games in a row on the road, it’s going to have that sense. But, like I said, as competitors and as pride takes over, we got the chance to come home and regroup and sleep in our own and shoot at our own facility. After playing Memphis, the Silver and Black will be off until resuming their rodeo trip at Toronto on Feb. 22. They end the trip with a back-to-back against the New York Knicks and Brooklyn Nets on Feb. 24-25. The Spurs won five straight before leaving on their road trip. 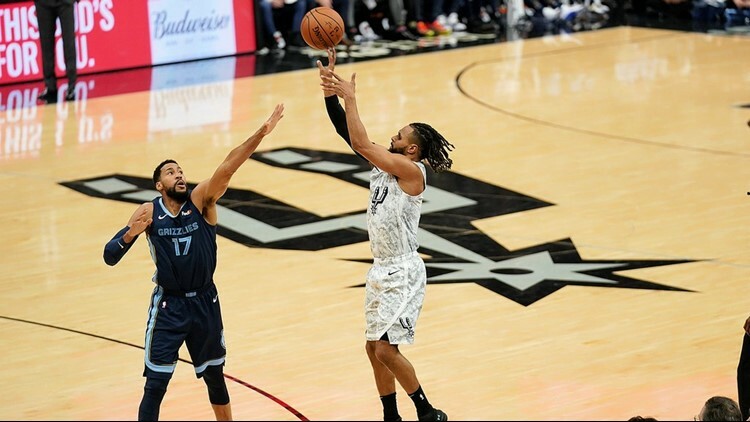 Veteran Spurs guard Patty Mills, shooting in a 108-88 win over the Memphis Grizzlies on Jan. 5 at the AT&T Center, said Monday that he was glad to have a chance to practice. Asked if it’s sometimes difficult to remember when the team won a game, Aldridge said: “When you lose two in a row, it feels like forever. The main focus is definitely to win. Got to take it game by game. Focus on Memphis, and get that one and build from there. Mills said Tuesday’s game against the Grizzlies will be pivotal for the Spurs, who have finished the rodeo trip with a winning record in 14 of the previous 16 seasons. The biggest change for the Grizzlies is that they no longer have 7-foot-1 center Marc Gasol, traded to Toronto last week, in the middle.